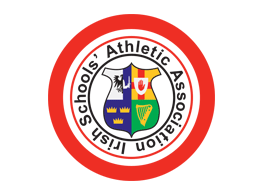 The Schools’ Athletics Association is the governing body for Post-Primary Schools Athletics. The association is a cross-community organisation with over 650 affiliated schools throughout the Island of Ireland. Connacht: North Connacht and South Connacht. Leinster: North Leinster, South Leinster, East Leinster, West Leinster. Munster:North Munster, South Munster, East Munster. Ulster: A District, B District, C District, D District, E District. International Competition: Each competition is followed by a Schools' International between England, Ireland, Scotland and Wales.